In earlier projects, it was observed that all the stakeholders were working in an isolated manner to conserve the greater adjutant. The conservation efforts were not supported by an action plan and the scientific information on their breeding levels was also not adequate. This project aims to bring together all stakeholders to one platform for the conservation of this Endangered species. Under this project a conservation action plan would be prepared and the global status of the breeding success of the species would be investigated. Information would also be gathered on egg-shell thinning. Several activities would encourage stakeholder participation; this includes the greater adjutant conservation festival that would be celebrated each year in breeding colonies in Assam,India. Nest tree owners would also be publicly felicitated and provided with cashless benefits to foster long term encouragement towards conservation of the species. The frontline staff of the enforcement agencies would be oriented towards wildlife issues to swear for protection of the species. A community conservation facility will be established near the nesting colony of Kamrup, Assam India. 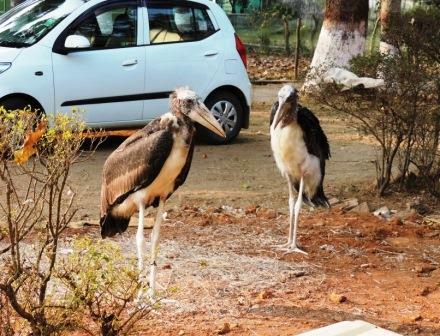 The project envisages to make the greater adjutant a flagship species and to reduce the extinction threats to the species within the project period.